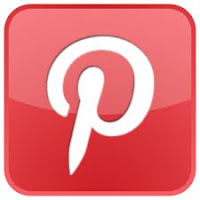 Another fun weeks of books for F&B. Faith & I went to the library to exchange out last week's books and found another load of new ones. I do like the library we go to during Ben's preschool. I think it has a better collection than ours does--lots of new books (like ours), but a deep older collection as well. I'm actually rereading one of my favorite series as a child (All of a Kind Family by Sydney Taylor). I've got 4 of the 5 books from the library, just waiting on the 5th. 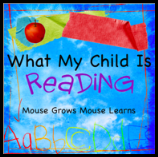 Anyhow, enough about my reads, onwards to the kids! 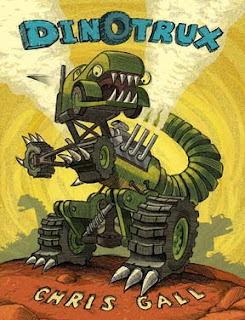 Dinotrux by Chris Gall - It's dinosaurs made out of trucks & vehicles, what more could a Ben want? It actually was kind of cute, there's a Craneosaurus and a Garbageadon, giant trucks rule the earth, till something changes and the trucks disappear. Or do they? 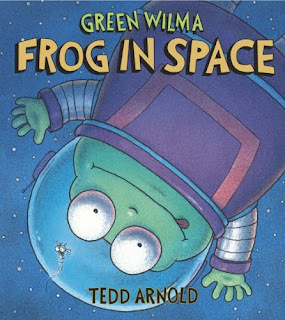 Green Wilma: Frog in Space by Tedd Arnold - We read the first Green Wilma book awhile ago and this one was just as cute as the first one. Wilma is off on an adventure when a rocket ship lands in her swamp. 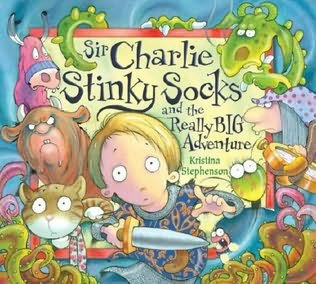 Sir Charlie Stinky Socks and the Really Big Adventure by Kristina Stephenson - OK, both kids liked this one. Brave Sir Charlie is a night on a quest through a spooky forest filled with mysterious and dangerous creatures. He needs to make his way to the tower and save ... ? 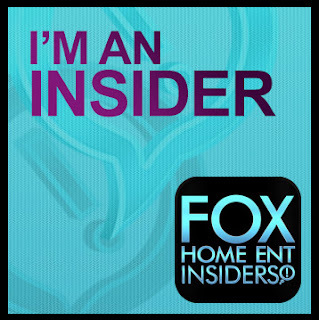 Well, you'll just have to find out what it is. 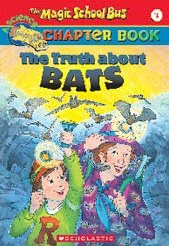 Magic School Bus: the Truth About Bats - Faith & I have a little obsession with bats, ever since we went bat watching in Austin this summer. 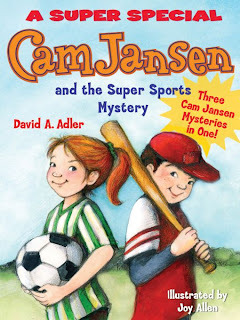 She got a whole bunch of the Magic School Bus chapter books for Christmas and is in the middle of this one right now. 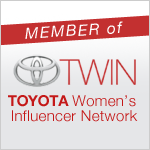 Thanks for joining this week. Ben's choices always entertain me - there is often quite a difference to what my daughter would want to read. We tried to read some MSB stories, but they were not well received without ever seeing an actual movie. Now I finally got an MSM DVD, so maybe Anna will be somewhat more interested in reading books. I love watching the bats here too. There's a bridge close to where they live that has LOTS of them, it's not the famous Bat Bridge, but it's still got a lot of bats. Sir Charlie Stinky Socks looks really fun.